DCHS HomeHunger in D.C.Who Goes Hungry? 1 in 7 households in the District reported they had trouble putting food on the table in 2017. The struggle to afford enough food is almost twice as high in households with children in the District than households without children, 23.3 percent compared to 12 percent, respectively. According to the National Foundation to End Senior Hunger, D.C. has the seventh highest rate of seniors facing the threat of hunger in the nation, at 19%. D.C. has one of the highest rates of seniors living in poverty compared with the 50 states. More than 15,000 seniors, approximately 15% of the senior population in D.C., are living in poverty and thousands more struggle to cover housing costs, medical care, and still pay for food on a fixed income. 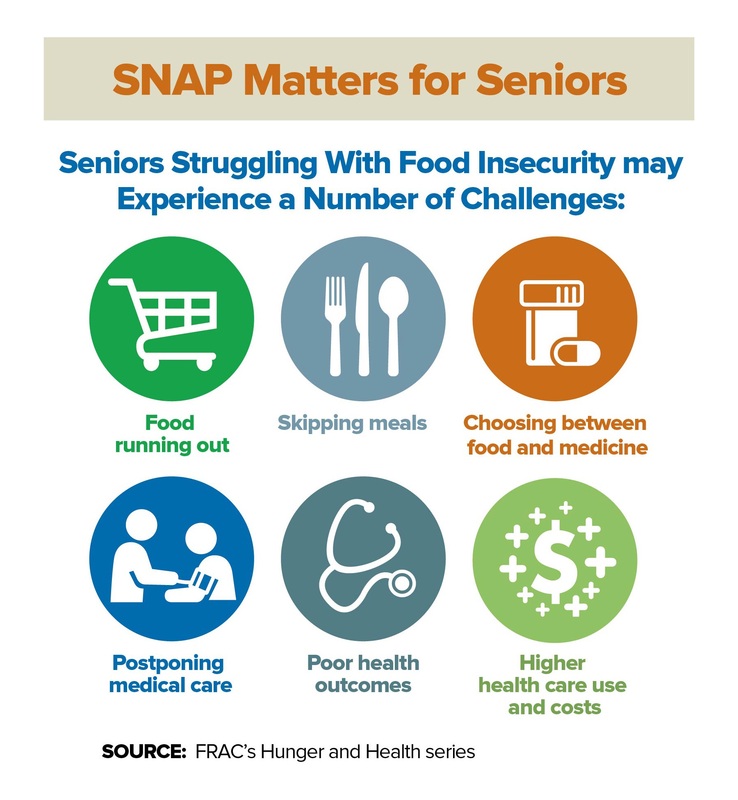 Seniors struggling against hunger often face challenges. (Click on the image for full size).